A common question I get is what do I do around the racetracks when we are in town for the races or in the case of this blog, a tire test. Well, in Phoenix there is no question. I go hiking! I absolutely love a great outdoor work out and the hiking in Phoenix is amazing! On our past trip to Phoenix I went to Squaw Peak. I have been to this mountain a few times now and it never gets any easier! It is like the stair master from hell and that is why I love it! It is such a great workout and the views are amazing as you can see by the pictures! I would classify this hike as moderate on the easy – difficult scale. I do not suggest bringing children but most people will be able to complete it. The best part of hiking is that you can go at your own pace so people of all fitness levels can try it. However, for this hike if you are just starting to work out I would give it a little time before you try it or set a goal. If it is your first time hiking aim to hike 25% of the mountain, 50% on your next try and so on. Build up to it, that way you do not over do it and you will find it very enjoyable. Also, there are many people going up and down the mountain so if you are hiking it on your own like I was you will feel safe in case anything happens (like you get dizzy). The hike is located at 2701 E. Squaw Peak Drive, which is right near 24th Street and Lincoln. The park is open from 6 a.m. to 10 p.m. For more information call 602-262-7901. Another hike that I love to do is Camelback. It literally gets it name because well it looks like a camel’s back with its two humps. There is an easy side which is longer that gradually takes you up the mountain. The side I do, however, is called Echo Canyon. This is a difficult hike where at times they provide rails that you can use to help pull yourself up because it is very steep. If you are new to hiking or working out do not try this hike. It is very strenuous and steep. It is though an awesome workout that your legs and glutes will feel days after, along with having breathtaking views. 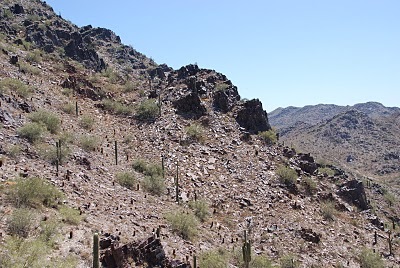 Phoenix, for those that have never been there, is very hot and dry so bring lots of water on your hikes. Also pack an apple or gummy electrolytes in case your blood sugar drops, you do not want to be dizzy on a steep mountain. The whole experience is very enjoyable and everyone hiking is very friendly!